As I mentioned under a different topic, I came across a report on the Library of Congress web site that deals with the history of the road network at Shiloh. It does deal with more than just the road network, but that is the main focus. The report was researched and written by historian Cynthia Ott, and issued in 1998 as part of what appears to be a larger ongoing project called the Historic American Engineering Record. The link to the article is below, but I wanted to add a quick note about navigating your way through it. It's actually pretty simple - you'll see a link above and below each page of the report that says, "NEXT DATA PAGE," and all you do is click on that link. Along the top of each page, you'll also see links to additional attachments that go with the report. ("Drawings," "B&W Photos," Data Pages," etc.) The Data Pages link is the document you'll be reading. Of the others, the information on the "drawings" link is generally too small to read, and enlarging it does not help. Sigh. The report also seems to be missing two pages, so far as I can tell - page 8, and page 28. When you click forward from page 7, you end up on page 98, followed by page 9. After page 27, you get a link to page 128, and the next page in line is 29. After you're done with page 7, I would suggest clicking through the next page, and just pick things up on page 9. And do the same thing from page 27 to get to page 29. Pages 98 and 128 will appear again, in order, when you reach them later. Apparently the two missing pages just got left out somehow. It's a minor detail, but a frustrating one in an otherwise very interesting report. The total number of pages in the report is 129 including the appendices, with the report itself running to 108 pages. I found that hi-res versions of the drawings can be downloaded. Thanks Ken. I can download the images, but for some reason the type isn't any larger on my computer. Maybe it's my browser. It's a little frustrating, but not a major issue. I agree about the report though. There is some very good information in there. A bit of history on this. When I was growing up, you could enter the park on the Corinth Road and follow the Confederate attack from the direction whence it came. This is where that gift shop and restaraunt are (I bought my first Forget Hell license plate there) and the old hotel, which was still open when I was in high school. They have since closed that entrance and you have to start any tour from the visitor center at Pittsburg Landing.
" 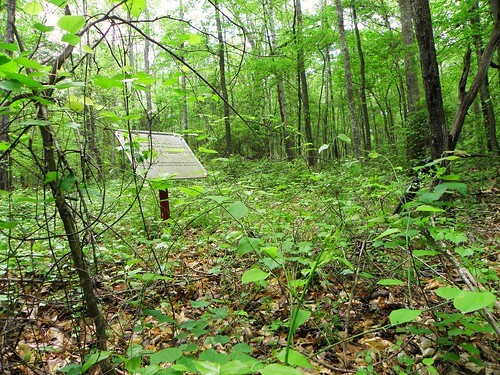 They have since closed that entrance and you have to start any tour from the visitor center at Pittsburg Landing." I prefer entering on Gladden Road and following the battle as it should be followed, thru the eyes of the 16th WI. Robert, Jim's grandfather fought with the 16th Wisconsin. So that's kind of like the Alpha and Omega of Shiloh we're talking about. Jim, technically the 16th came in by the landing, so you're allowed to do the same. Or at least by Highway 22. I must admit that I do not recall the movements of the 16th Wisconsin, Jim, so I will read up on that unit to refresh my memory. I had wondered when it was that they shut down the south entrance to the park, and also when Highway 22 had opened, and Cynthia Ott covers those in her report. For some reason I was thinking it was earlier than it was, and I didn't realize those two events - closing the entrance and opening the highway - were tied together. Do you remember there being any kind of a controversy over closing off the Corinth Road entrance that way? There's a thread somewhere on the board involving a then-and-now photo of the 9th Indiana Battery's monument over in Perry Field, and the earlier version, which I think dates to the early 20th Century, got me to wondering when the highway was put in. I had it in my head that it was probably in the 30's. Obviously I was a little off. I've heard rumblings from time to time that the south entrance might be re-opened at some point, but I don't know how much traction that's ever gotten. I've gotten the impression that instead of reopening the south entrance, the Park still wishes to close the Gladden and Hamburg Road entrances and have just one main entrance they can close at night. That's true, Jim. I can't remember where I've heard the idea of re-opening the south entrance being kicked around, but I could swear I've heard or read it somewhere. And you know me, I don't swear very often. I think it would be tough to close the other entrances because of the local traffic driving through the area, but you're right, that's something they've wanted to do for a while. I'd like to see Corinth Road reopened. That way you can go down the road a little ways to where the Confederate army sat out the thunderstorm (the 13th TN's marker is in someone's front yard). Then you can follow the path of the attack. It's in a pretty spot, but it could use a little TLC. That's how my luck runs. Every time I go looking for a marker it's in terrain like that. Thanks for the photo. The link provided by Perry for Cynthia Ott's report of the Shiloh road network is no longer active. Darn it. Here it is. I hope this works. In the end, there is no 'one size that fits all' ...the competing requirements must be balanced. So far, it appears that the folks who have managed Shiloh Battlefield over the years have mostly gotten the balance right. Thanks Hank. That's actually much better than the original link. Ozzy, good points about the evolving nature of the park over the years. Striking a balance is a good way to put it, and it's a never-ending challenge for the park service, at Shiloh and elsewhere. Figuring out how to route people through the park, to help them understand the battle, is probably one of the biggest challenges at Shiloh thanks to the way the battle was fought. By and large I think the park service has done a very good job in that regard. It may not be perfect, but I doubt that it could be. it would be good to have road maps to view while ready this..a flow chart of maps as thdy changed over the years..always wondered when they put a stop to free range stocl..now i know..good read!! Fort Donelson National Park, like Shiloh, is operated by the National Park Service here over in Dover, TN...so the park itself has no admission fee or anything of the sort. There is of a course a neat visitor center with exhibits, gift shop Library, and all that neat stuff. They do offer a pretty cool visitors brochure to drive in and around the Fort itself to certain specific sites (See Below). The National Cemetery & Surrender Site (Dover Hotel) were always my favorite sights to see. The Dover Hotel itself has a neat little video inside of the Surrender taking place right along the River, and to walk around the grounds itself, which doesn't take long. But as you can see, different Battery positions are marked as well, along with different camps & troop movement markers. The River Batteries is one of the most beautiful sights in my opinion, to just visualize the Ironclads coming around the river bend in the distance, with the numerous cannons they have in place in and around that area by the river. Also by that area, are the Eagle nesting areas, which many come to see and watch, it's a treat to see them fly around if so fortunate. Inside the remnants of the Fort itself, the field swale (as Dr. Jeff Gentsch would say) is very prominent, especially driving along tour stop's 5 & 6, very similar to Shiloh in that regard in some places. In terms of lodging in that area, nothing really fancy. The Dover Inn Motel seems to have the best ratings over on Trip Advisor for a nice stay. I have always made a day trip out of it, being under 2 hours away, so have never stayed anywhere in the area, sadly. This is simply from my couple of times being in and around that area, granted I'm no expert on the area or the topic, that'd be Tim Smith, ha....can't wait to be on his Fort Donelson tour we do annually each November, should be a good time! Hopefully you are able to join us for those dates! To Paul... thanks for taking the time to post the info and map.. i just found one online and saved the pdf.. only 2 hrs away... Im about that close to Gettysburg.. maybe add another hour or so maybe for 4hrs total for sharpsburg.. maybe even harpers ferry..
What are the dates for the Fort Donelson Hiking trip.. and where the meet up..
Only 2 hours from Gettysburg? Oh man, rub it in why don't ya? ..lol...one of my favorite places on earth to visit. I would have loved to have been there last week for the Anniversary Hikes, especially with the likes of Garry Adelman & Tim Smith (the other one), granted as long as it wouldn't be too hot & humid out. Timothy B Smith (Shiloh) was indeed a Park Ranger for many years, and his books are always a joy to read. I am just finishing his detailed work on Shiloh, and am waiting for his book "Grant Invades Tennessee, The 1862 Battles for Forts Henry & Donelson"...that will be available on October 20th of this year, pre-order on Amazon. 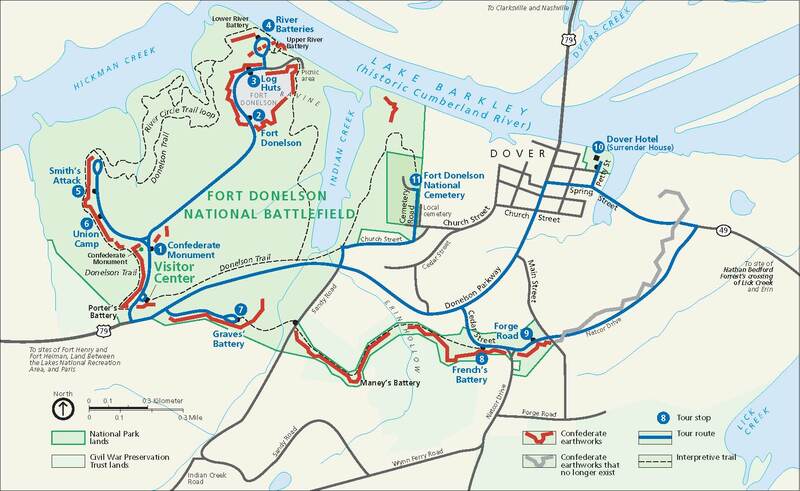 There is a Tab for the Fort Donelson Hike itself that Perry was gracious enough to start for us under the "Announcements" Tab. As of now it is slated for November 5th, and the meeting place is normally chosen closer to the date itself, normally wherever Tim Smith would like to start the tour based on the Topic. This is actually our first year doing a Fort Donelson Annual Day long Hike, it has always been at Shiloh and covering various topics that we enjoyed hearing discussed at Shiloh itself, so this year should be a treat, indeed. I've listened to Hartwig, Hewitt, & Matt (love the humor he brings) & Angie Atkinson, and enjoyed their tours/winter lectures. I was also always a big fan of Eric Campbell & Jim Flook, when they were at Gettysburg, Campbell especially, but I think he's been at Third Winchester Battlefield in Virginia ever since leaving Gettysburg, but he always was able to captivate an audience it seemed. That's cool about being with them volunteering, always been a lifelong dream of mine to someday go into that field of a Park Ranger or Museum Education, although sadly I've been in Human Resources in the Hospitalilty & Medical Field for roughly the last decade, which is the complete opposite of my passion of History, but I can't complain. Chief Park Ranger at Shiloh is (or was) Stacy D Allen, who is always a treat to talk to when he's there, I think he might be retired, don't quote me on that, but I hear he is still around the Battlefield often, particularly during Anniversary Week.